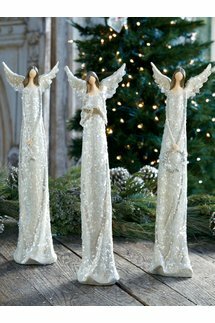 Glistening with soft shimmer and crafted with a hand-carved appearance, a trio of ethereal angels is the perfect holiday accent. 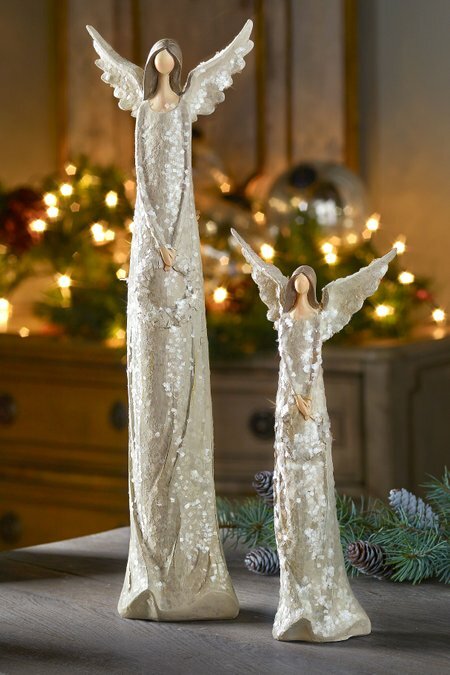 Each angel clutches a meaningful object. Joy holds a star; Grace, a book; Hope, a wreath. In two sizes, choose Joy, Grace or Hope individually or enjoy the trio as a eye-catching set of 3 (05793).